After conducting hundreds of experiments on sleep and health, the world’s leading scientists have discovered that in order to maintain an optimum health, one should go to bed early and wake up before the sunrise. The period between 10 pm and 6 am is the best sleeping time for your body. Read some interesting tips for better sleep seen from the perspective of a Yogi. Going to bed at 11 pm, midnight or 1 am is harmful to your health and it is the underlying cause of many modern “killer diseases” such as heart diseases and cancer. Nature acts and moves according to precise rhythm cycles influenced by the rotation of the Earth, Sun and Moon. Every day the sun rises and sets, the seasons are changing, the moon waxes and wanes, and the ocean tides rise and fall. The function of your sleeping and wakefulness are part of that rhythm. In nature, we find that animals and plants are awake and asleep in tune with the same rhythm. Human beings also have a natural rhythm. Our human bodies, same as Mother Nature, function according to the natural cycles, and the rhythm of the body is commonly called internal body clock’ or biological clock. The disruption of the natural function of our biological clock in addition to the improper habits and sleep patterns causes different diseases. When our bodies are out of balance and do not function in harmony with Nature, nothing seems normal. This happens due to the desynchronization of the hormones, chemicals and neurotransmitters that determine our energy levels, vitality, and how we feel, sleep and eat. In other words, we are imbalanced and out of tune with our biological clock, meaning we go opposite the natural harmony established by Mother Nature. Before the widespread use of electricity, which could be easily seen in the villages 50 years ago, people would go to bed right after the sun set, same as animals do -- same as Nature planned for humans to do. The period between 10pm and 6 am is the best sleeping time for your body. It is the time in which your body is programmed to operate according to the path of the Sun and the 24-hour natural cycle of your internal biological clock -- and that is beyond our control. During this time (10pm -- 6 am) the human body is designed to be able to rest, repair, detoxificate (elimination of waste products and toxins) and renew. Our bodies are products of Mother Nature. If you go against the natural order and design of our bodies, you will pay the price in various diseases and problems. For example, If your body is overtaxed digesting a heavy meal or you stay up late (after 10 pm) working, playing games, watching TV, or working on the computer, your vital energy is focused on the activity and your body can not use it to prepare for a proper rest and renewal. The vital internal organs in the body function according to a “Time Schedule”. Knowing how your body works can help you regulate your schedule in order to achieve an optimal level of health and well-being. 9 pm to 10 pm -- The body eliminates toxic chemicals from the immune system (lymph nodes). It is best to fall asleep between 9 pm to 10 pm, so the body can properly do this important function. 10 pm to 1 am -- The liver eliminates toxins and regenerates. Midnight to 4 am -- The bone marrow produces blood. 1 am to 3 am -- The gallbladder eliminates toxins and rejuvenates. 3 am to 5 am -- The lungs eliminate toxins and rejuvenate. 5 am to 7 am -- The colon eliminates toxins and rejuvenates. This is also the proper time to empty the colon. 7 am to 9 am -- Vitamins, minerals, and other nutrients are absorbed in the digestive tract. You should definitely eat your breakfast in this period. World scientists have concluded that everyone should go to bed early (go to bed before 10 pm) to get some good quality sleep, which ensures proper physical regeneration. If you cooperate with your internal biological clock and allow the Nature to act, you will feel freshed, live, and full of energy when you wake up in the morning. Going to bed before 10 pm is necessary to keep the human body in harmony with Nature and stay healthy, happy and spiritual. 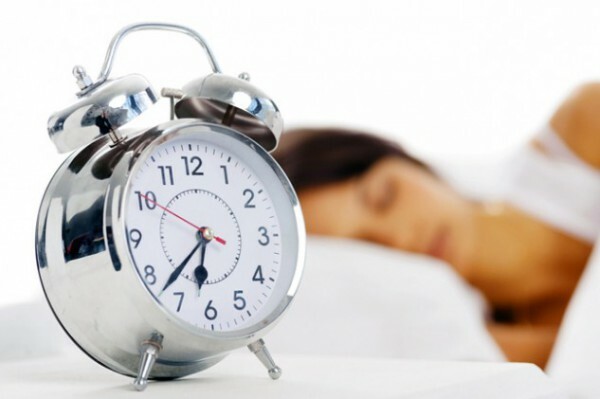 Global scientists have concluded that the average man needs 8 hours of sleep a day, preferably between 10 pm and 6 am. Even though most people need 8 hours of sleep daily, people who deal with spirituality need only 6 hours of daily rest to maintain their perfect health, because their spiritual activities create a great physical and mental peace, purity and inner harmony.